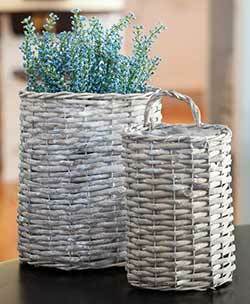 Pretty and practical, our rustic country baskets are perfect for organizing your home, decorating with florals or fillers, or both! 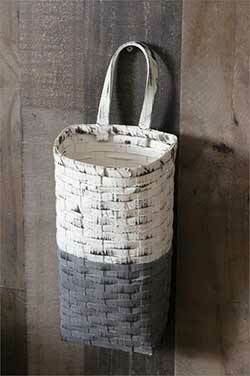 This basket features a two tone colorblock of rustic white on top and gray on bottom. For a different kind of decor for your walls, hang this basket and tuck in your favorite pip berry sprigs, lit LED branches, a favorite rag dolls, or seasonal florals! SPECIAL ORDER. Size is great for holding a small potted plant, TV remotes, or decorative items. Has a plastic liner. Can set on a table or hang on the wall! They have plastic liners if you'd like to use with real florals. 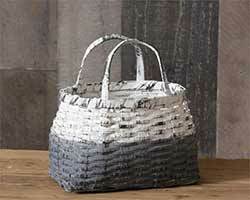 Made of woven wooden slates washed in white and grey finished, and distressed. 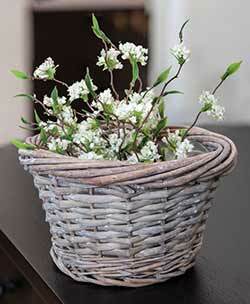 Hang this grungy oval black basket and tuck in your favorite pip berry sprigs, lit LED branches, or seasonal florals! 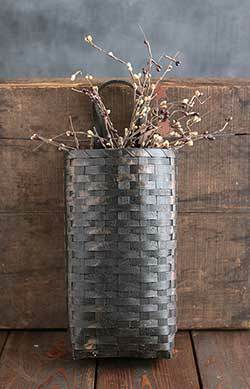 Black Grungy Wall Basket - For a different kind of decor for your walls, hang this basket and tuck in your favorite pip berry sprigs, lit LED branches, a favorite rag dolls, or seasonal florals! SPECIAL ORDER. 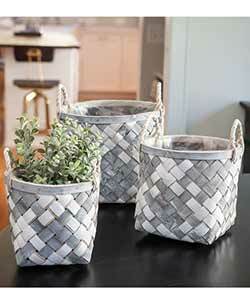 Display this set of three woven baskets around the home for an industrial farmhouse look. 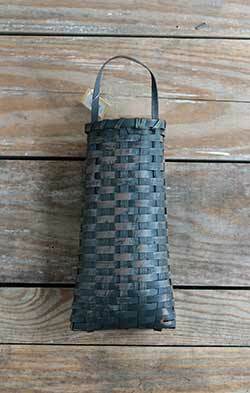 Each one has an open weave with a round top and square base. Set of 3. 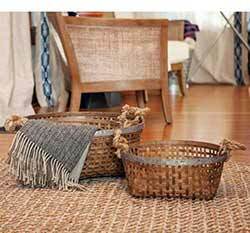 This basket set is made of willow with a lightly whitewashed finish.